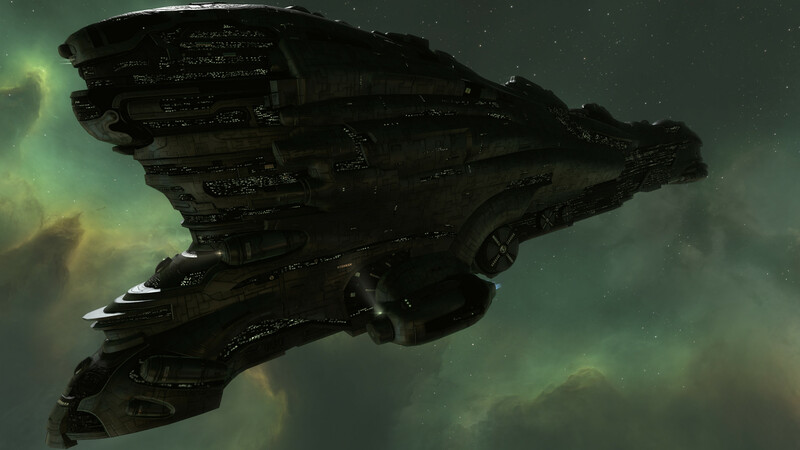 As most of you are well aware, there are many changes coming to Eve Online this week. We have been fed snippets of the famed capital rework for almost two years now. Finally the fruition of all the dev blogs and focus groups is here, and change is coming like a hype train. If you tuned into the Fanfest stream or were fortunate enough to go to Iceland, hopefully you were able to watch CCP Larrikin and CCP Fozzie go over some of the exciting new developments that are coming in the patch later this week and throughout the rest of the year. They were kind enough to show footage of both the new carrier mechanics and titan doomsdays. If you have logged into Singularity over the past few months you will have noticed that you could try these new features out for yourself. This isn’t a tweak or an adjustment; this is a complete overhaul. Gone are the days when you could launch drones, hit “F,” and forget about your capital ship for a few minutes. Carriers can no longer use drones and are limited to fighters. On the other hand, fighters have had an incredible degree of utility and function added. There are now over 40 types of fighters that can do just as many different things. They can neutralize capacitors, tackle enemy ships, fighters and drones with warp scramblers, web, and of course, shoot. Even the most simple task of damage dealing has changed with the addition of alternatives such as missile swarms and bomb volleys. They can manually do almost anything a small ship can. Fighters can be moved without a form of aggression. You can simply direct any group of your fighters to a single location in space and watch them fly over. They can be set to orbit a friendly or hostile and then toggle what action you wish for them to perform. There are even anti-fighter fighters. What a time to be alive. Not only have the offensive capabilities of carriers and supercapitals been adjusted, but defensive and support functions have been added. There are over a hundred new modules being added that are capital ship specific. New dreadnaught and titan guns, new capital shield extenders and armor plates, and new electronic warfare modules really force the player to think about what their role is on the battlefield. This coupled along with the changes to refitting means that decisions are much more meaningful and will have a bigger impact on spaceship violence. When the patch hits, you will have to wait out your weapons timer before refitting. Dreadnaughts are getting a load of attention as well. Tech II ammo and guns, anti-subcapital gun platforms, and a significant price drop in hull build costs all give this class a desperately needed boost. Before undocking one of these the pilot must consider what he may encounter and fit accordingly. No more are these simple structure-shooting ships to collect dust in a hangar. The new weapons will allow them to dominate a subcapital fight and be legitimate assets in many more engagements. Additionally, dreadnaughts have been given both a Fleet Hangar and Ship Maintenance Bay ensuring they are much more versatile. With both the a price drop and extensive functionality added, many more of these beasts will prowl New Eden in the years to come. CCP also unveiled three new capital ships over the weekend. Soon we will have Serpentis versions of the Moros, Nyx, and Erebus: the Vehement, Vendetta, and Vanquisher. Obviously these hulls won’t be cheap, but will make you the envy of all your fleet mates. 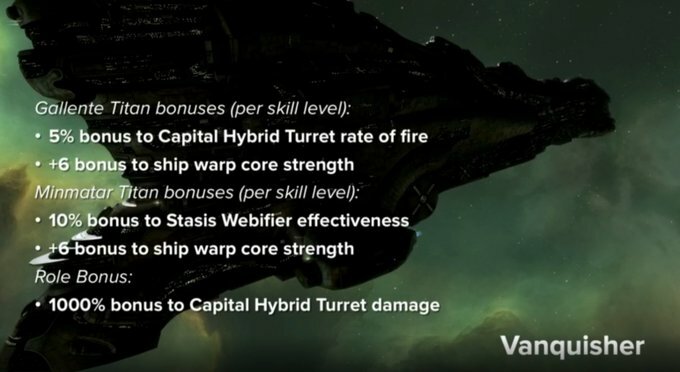 Coupled with a massive stasis webifier bonus and unparalleled damage output, these ships won’t simply be trophies. Finally, the biggest change in my opinion, is the addition of Force Auxiliary ships to the game. These replace large spider tanked blobs of triage carriers we are traditionally used to. 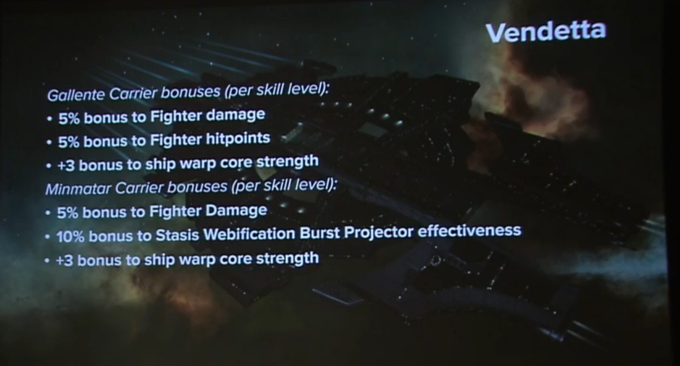 In other words, the way capital ships fight has been totally revamped. No more is it simply a matter of N+1 to decide a capital engagement. For many years now the outcome of a capital fight was a massacre on one side or the other. Now each side will have to commit Force Auxiliaries to repair the incoming damage to their DPS ships they can not receive reps of their own when doing this. It’s impossible to say how the meta will shake out, but many speculate that it will be a race to deplete the enemy fleets’ Force Auxiliary ships before your own are exhausted. This way, even if you lose, you can take some enemy capitals down with you. One more exciting tidbit is the addition of Capital Ancillary reps, both remote and local. 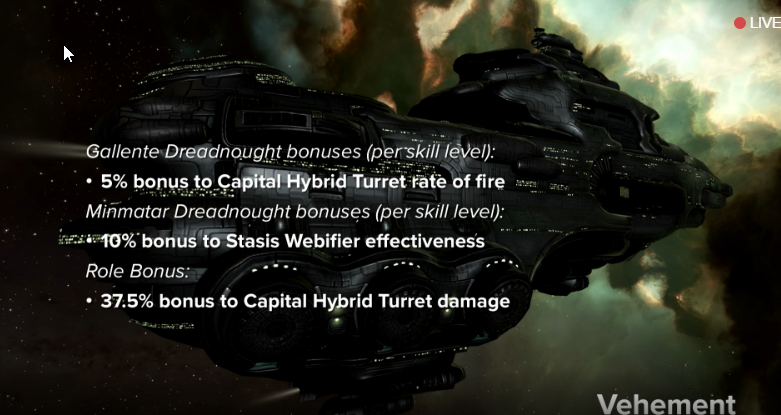 These come in both shield and armor variants, adding more granularity to capital logistics. Capital ships have become more complicated. Player skill will become one of the biggest factors in piloting a fleet of these ships, as opposed to fitting, ISK or ‘the blob’. The hype train has officially left the station so you may want to start saving some ISK to get your hands on the new toys.